Subsidence Repairs – Structural Repairs – Concrete Repairs -Building Repairs! Have you found new cracks or distortion to your property and suspect you may require Subsidence Repairs? 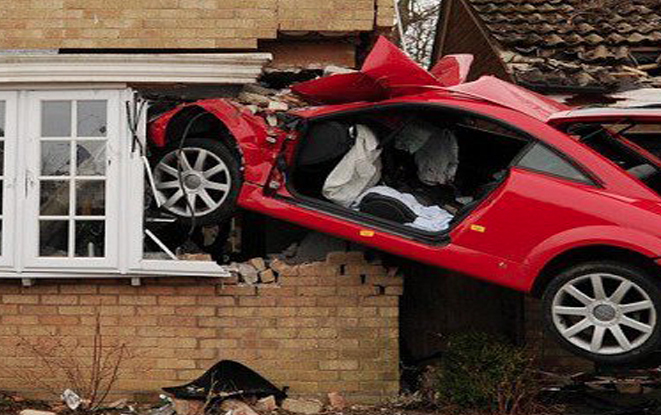 Think you need to make a Structural Repairs Insurance Claim; it’s critical you get a fast response to prevent further damage. Property Restoration Services are an Approved Insurance Contractor for a leading loss Adjuster’s specialising in Building Subsidence. Whether it is a Foundation Repair, Brick Repair or a simple Wall Crack Repair, when it comes to subsidence repairs, it may be necessary to carry out further investigations such as drains tests or trial holes in order that the cause of the movement can be established. We are able to arrange and supervise these investigations if required. We will work with you, your insurance company and Loss adjuster to agree a spec for your Subsidence Repairs so as your Structural Repairs are carried out in a timely manner, therefore allowing you to return to your property as quickly as possible. Being approved contractors of Insurance Company’s you are in safe hands for your Subsidence repairs! 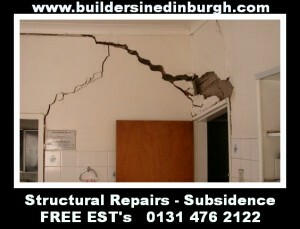 Need a quote for Subsidence Repairs / Structural Repair Tel : 0131 677 8575?